A beautiful horse charm necklace presented on a postcard print featuring Virginia Woolf’s inspiring quote. 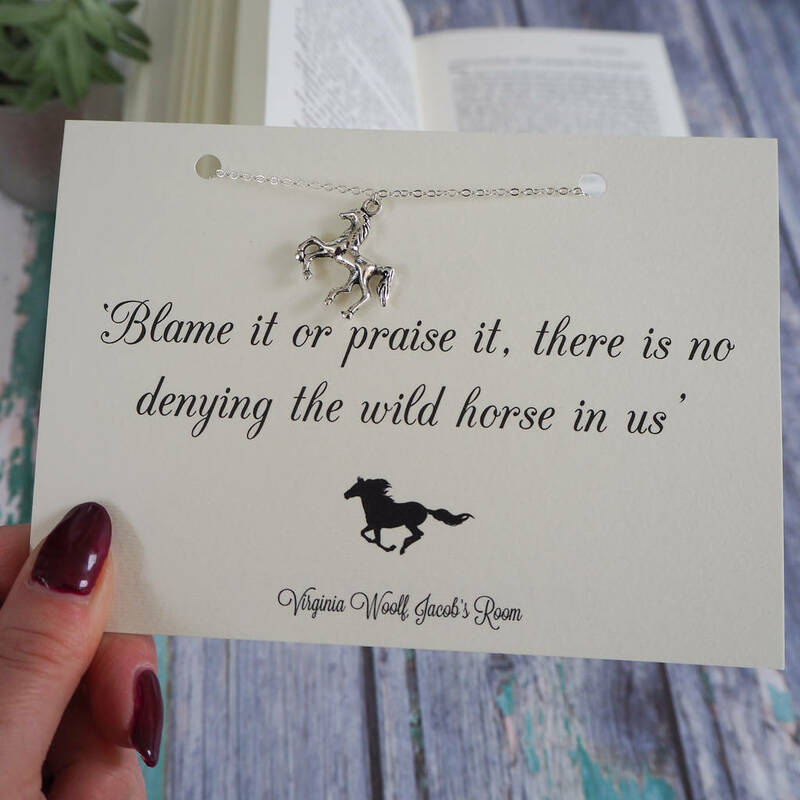 This wild horse necklace is a thoughtful and unique gift for a loved one, friend or horse lover. 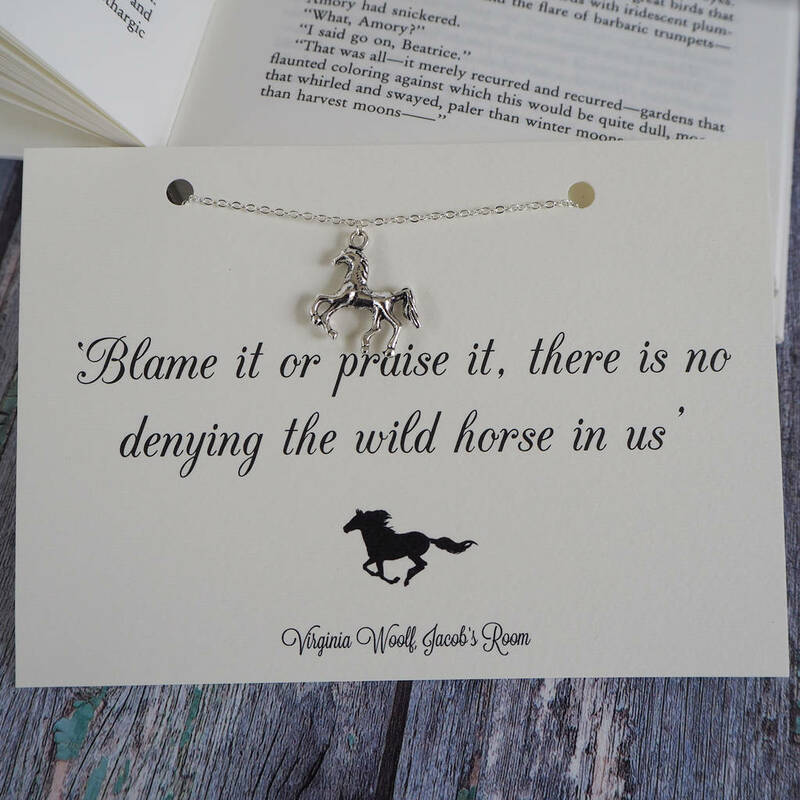 An unusual literary themed gift that is suitable for any occasion including birthdays and weddings. 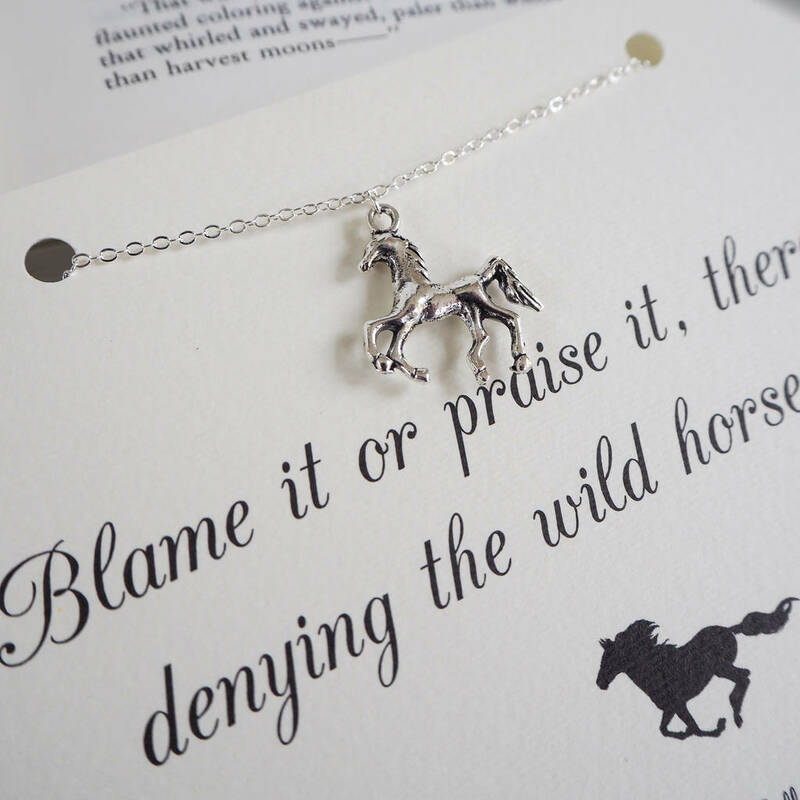 This unusual necklace is handmade using a silver plated trace chain and a galloping horse charm. This unique necklace comes carefully wrapped in brown paper and string ready to give as a gift. 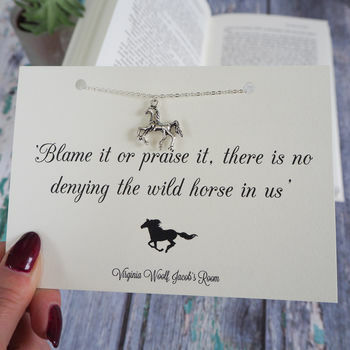 For more gifts inspired by great works of literature please take a look at my shop. This product is dispatched to you by Literary Emporium.